What is the best pin size for the Pinterest platform in 2018? Pinterest as a platform has evolved over the years, but their recent optimal pin size recommendations have been reinforced by Pinterest headquarters. If you want a robust Pinterest marketing strategy, having multiple optimized pins per blog post will give you more visibility and traffic to your site! In this post, you’ll see two pins, top and bottom, both utilizing the 2:3 or 1000 x 1500 px ratio. I like to add text overlay to brand and give more context to my pin, leading to more clicks. Why do long pins still rank high in search? It’s a great question! According to my chats with Pinterest employees, those older pins rank high because they have relevance and past virality, but, over time, optimal pin sizes will continue to take precedence. 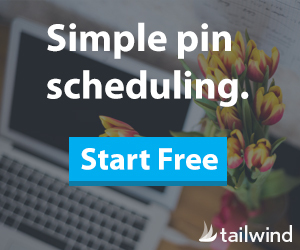 Looking for more optimal pin sizes posts? I’ve gathered a few of my past posts below.